I decided to take my dad for a day out at Carnglaze Caverns. 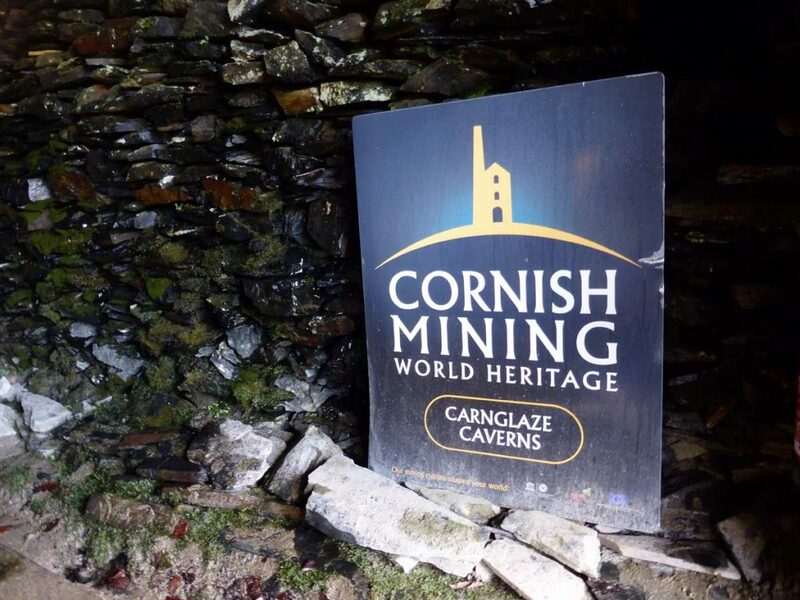 It’s a Cornish Mining World Heritage Site located just off the A38 trunk road through the Loveny Valley. As you don’t need to spend more than a couple of hours there, we also enjoyed a walk at nearby Golitha Falls. There are many other attractions and places nearby to choose from including Siblyback Lake, Minions, St Neot, Dozmary Pool. 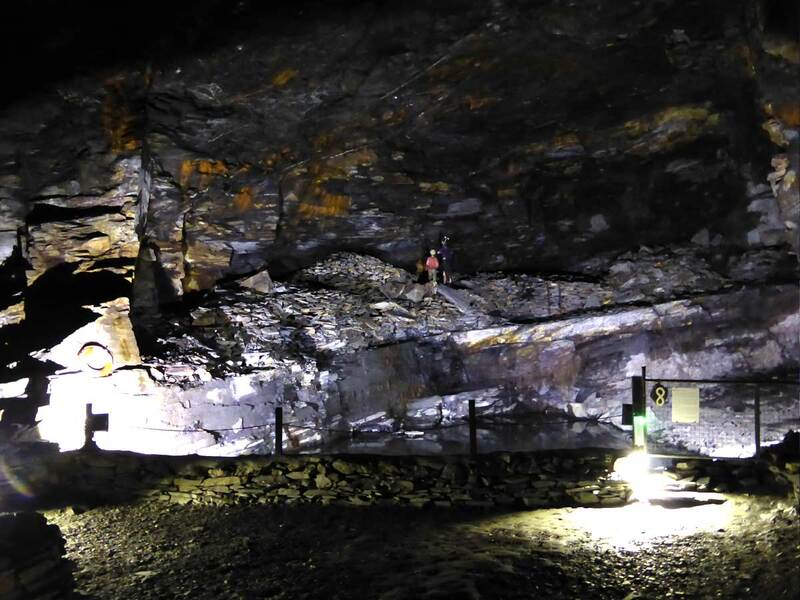 Carnglaze Caverns is a former slate mine with three main chambers. When you think of a slate, you usually imagine a large open quarry pit. 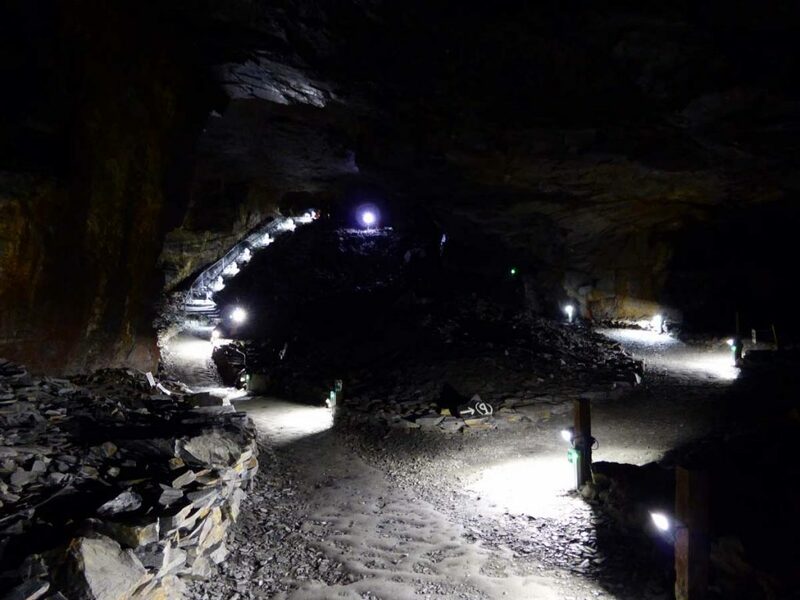 The mining activities here did start out that way but then the miners went underground. 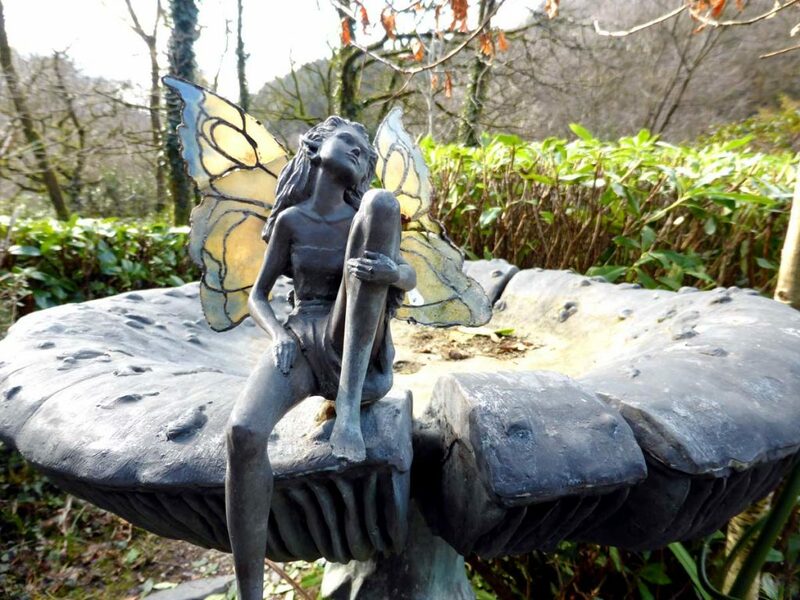 There is also a cute woodland walk during which you can meet the resident fairies, visit Hubert’s House and discover the homes of many other woodland creatures. 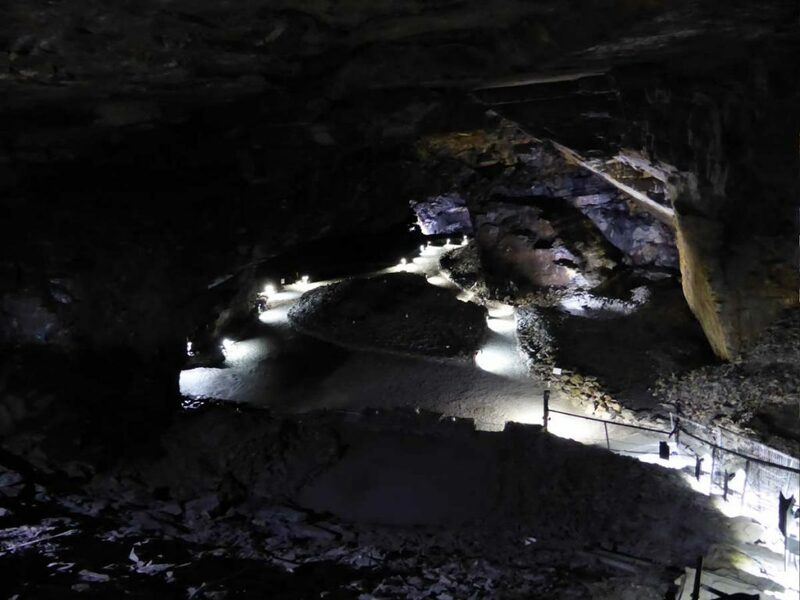 The first chamber of Carnglaze Caverns, known as the Rum Store after the Navy requisitioned it to store their rum during World War II, has been converted into a unique concert venue. I performed in the Rum Store auditorium when I was a member of my school’s jazz orchestra and have wanted to go back and explore ever since. Having seen The Rum Store, I wasn’t really sure what to expect when exploring the rest of the cavern system. Descending in the second chamber, known as the cathedral chamber, was beautiful due to the way it is lit. The pictures don’t do it justice. The pool at the back, known as Baby Pool, presents the observer with two illusions. The first relating to the depth of the water and the second, relating to the colour. 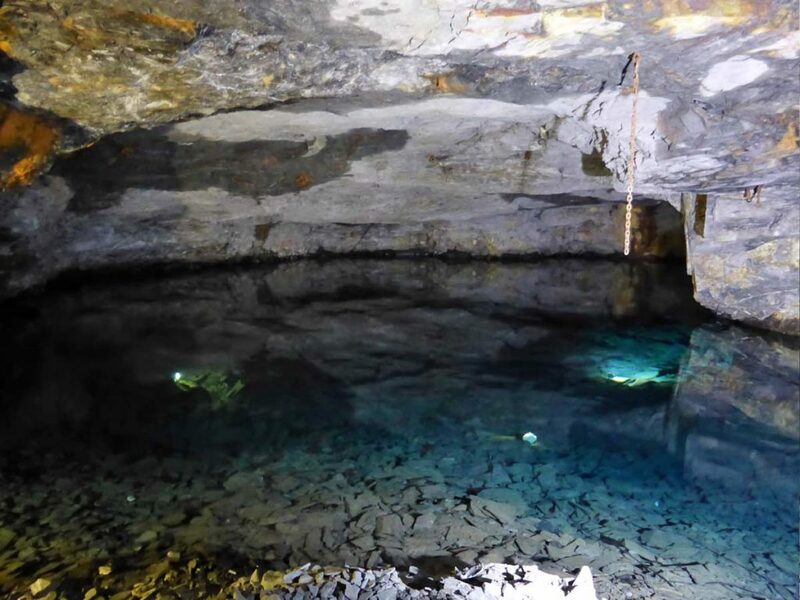 Although I knew that the third chamber contained a pool, known as the Mother Pool, I didn’t expect the pool to be so large and the chamber completely flooded. I think I must have seen photos of just a section of the pool and confused it with the Baby Pool. The Mother Pool acts as a natural reservoir and is the sites water supply. We practically had the place to ourselves and could explore at our own accord. 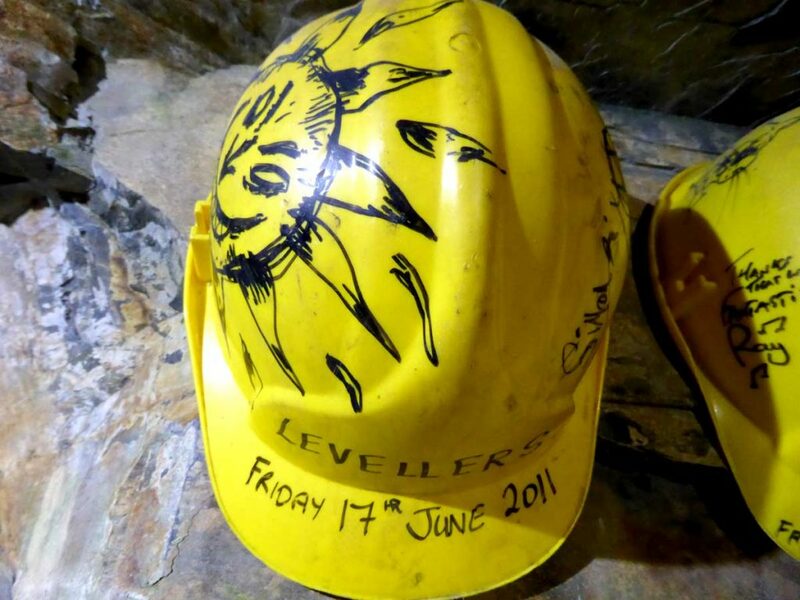 We were given a short briefing and issued with a map, hard hat and a torch; although we didn’t really need the torch. It’s fairly cheap to visit. It’s also worth checking Groupon, or you can get free child entry through the App for Cornwall. I had no idea how big or small the attraction is. I believed there would be lots of information about mining, the areas geology and the lives of miners. Looking at the website, there is a bit of an enchanted theme with fairies and crystals, so I was a little worried the attraction may be spoiled a little by a tacky gimmick, but it is limited to the outside areas and is nicely done. I should think kids love it. We visited on a freezing cold day in February. However, the cavern system is a consistent 10°C all year round. Being out of season, there was no guided tour. Although it is nice to be able to explore at leisure, I think a guided tour would have been educational. There is signage within the caverns, but they were often low down and although some were well lit, others were a little hard to read. During busier times, you have to join a guided group tour. Due to the nature of the site, the Cathedral Chamber and Mother Pool are not accessible to those who are unable to navigate 60 steps. This is a trip out that the whole family can enjoy. Kids will be amazed that such large chambers can exist underground and enjoy fairy spotting on the woodland walk. They can also enjoy a game of who lives here. Anyone with an interest in the local industry or geology will love to see inside. Although I don’t think I really learned a lot during my visit, it was still very interesting and unique experience to wander the cavern system hidden in the Loveny Valley. Others unfamiliar with local history may find it more informative. 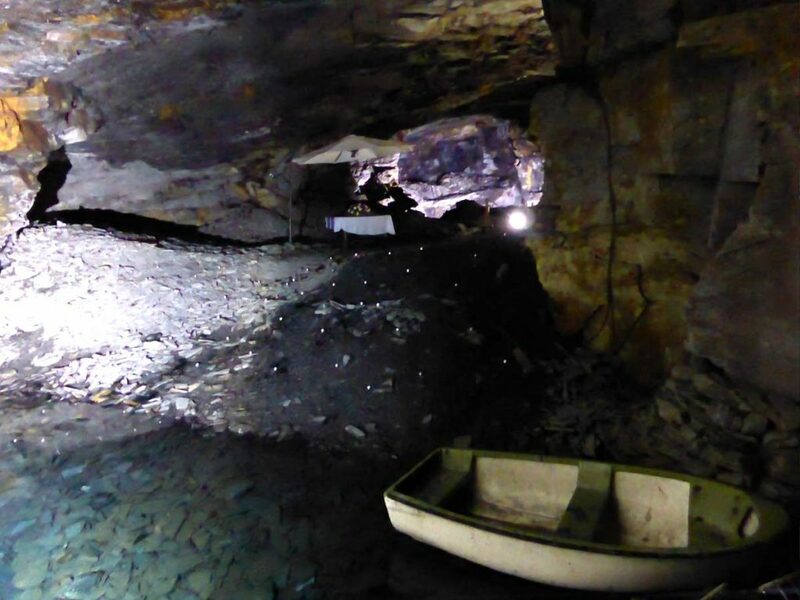 There are few accessible mines and those that are, are usually mining something other than slate. Poldark and Geevor Mines are both tin mines. 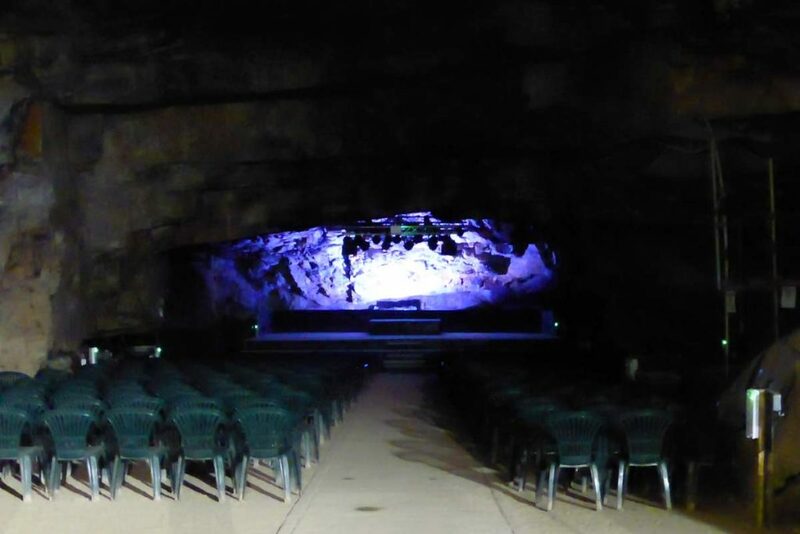 The caverns would also be perfect for a rainy day and I would definitely return to see a show here. In the past Elkie Brooks, Rick Wakeman and The Levellers have performed here. Hazel O’Connor is billed to perform in March 2018 (I’m told she is famous!). I also think the woodland walk would be lovely when the bluebells flower. You can also get married there and I am told it looks amazing lit up with candles! 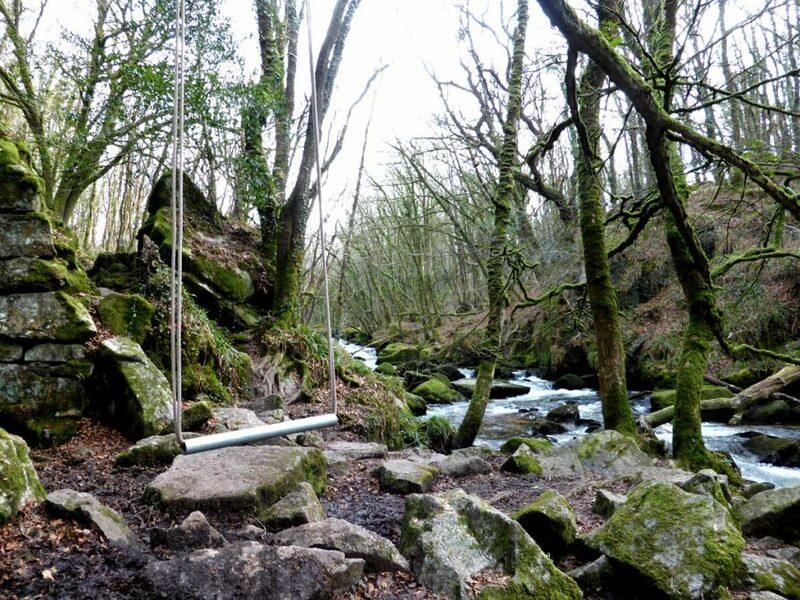 Golitha Falls is a National Nature Reserve (NNR) and Site of Special Scientific Interest (SSSI) just four miles from Carnglaze Caverns. 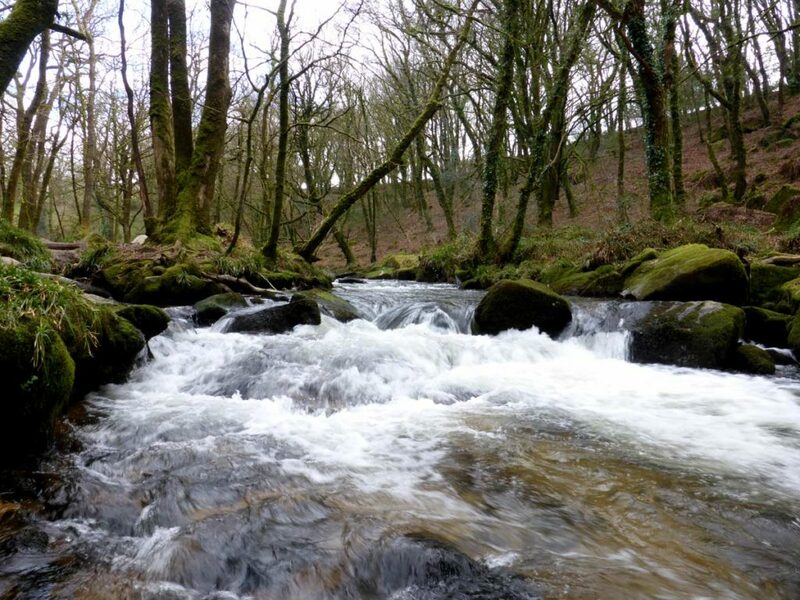 You won’t see large plunging falls here, but rather a series of picturesque fast flowing cascades over granite boulders as the River Fowey makes its journey through a steep-sided valley gorge of ancient oak woodland known as Draynes Wood. Although the first part of the trail, known as the riverside loop (500 meters), is relatively spacious and flat. The walk to the falls is 1km each way and it quite uneven so accessibility could be an issue for those with limited mobility, prams and wheelchairs. The path was rather muddy on this cold February day but the temperature meant that the mud was rather solid and easy to traverse. It is a cheap day out in Cornwall and proffers a beautiful walk. At the end of the trail we discovered sturdy swing and a few moments of serenity. The area is perfect for families, couples and dog walkers. However, a section of the trail is unsuitable for those with limited mobility. There is a rich biodiversity of flora and fauna for those who love nature. Including rare mosses, liverworts and lichens, which makes it so much more than just a walk. It’s almost like the Eden Project but on a smaller scale! I would also like to go back and eat at Inkie’s Smokehouse, which is located in the car park. It has been there for about a year but I didn’t get to try it out as it was shut (closed Mondays and Tuesdays). On the topic of car parks, this one is a good size, which is promising for busier summer days. Plus there are toilet facilities located at nearby Draynes Bridge. A third stop on your day out? The nearby Halfway House (tried and tested) or the London Inn at St Neot (I’ve not been there since a change of ownership) are perfect for lunch. About the author: Sophie is the Digital Marketing Co-ordinator at Cornish Traditional Cottages and visited these spots in February 2018. For her next day trip she is going to St Anthony in Roseland.